Business cards have contact details of a company. But today that is not the sole purpose of them. Matter of the fact is that marketers have turned the cards into an effective tool to convey the brand message of a company. 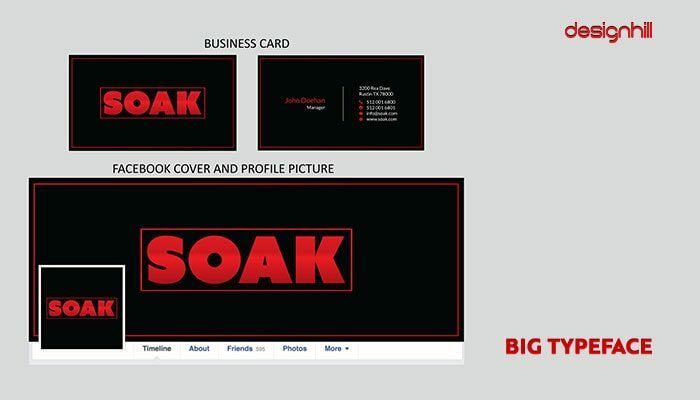 However, a business card design becomes part of a brand building exercise only when the card is unique and memorable. Make sure that your clients keep your business card with them. If your design is unique and attractive, they are most likely to remember it. They will keep the card in their drawers at home or office. Remember that 80% of business cards handed out to the people are thrown away within a week. That shows the importance of creating a business card design that looks professional, appealing and aesthetic. The main purpose of business cards is to deliver contact details of a company. Another purpose is to impress the clients. In fact, making an impression on the recipients is the most important reason behind creating varieties of business cards designs. So, while receiving the contact details, the client must get a good feeling about the company. This brings us to the importance of business card design. Business owners have to compete hard in their niche markets. They want to explore all the opportunities to draw consumers’ attention toward their companies products or services. For them, a business card is the way to share their vision of the company. The trick is to create the card design that surpasses the customers expectations. The cards must quickly draw their attention toward your business, and what it stands for in terms of values. A business card has the company logo and colors. These two elements express a brand message to the audience. Graphic designers have to experiment in order to create unique designs, which can stand above the crowd. Each year, we see numerous new designs of business cards. Many of them fade away quickly, while some stay in our minds for a longer period. 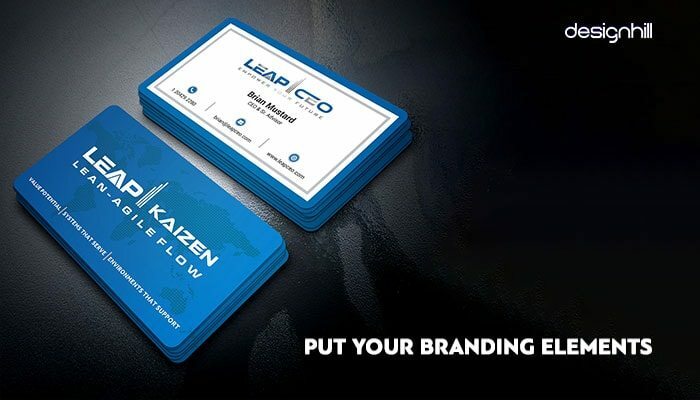 In 2019, we have already seen some of the business card designs making firm inroads. If you are a graphic designer, then follow these trends in your own way to create impressive new cards for your clients. As a business owner too, you must be aware of these new developments in creating the designs. Business cards are primarily meant for informing the recipient about the company’s business and its contact details. Every business card has an email address of the company, its phone number, website address, fax number etc. as contact details. A graphic designer should aim at delivering the details in a simple way. So, spread your colors and logo in your business card in a sophisticated way. This trend in 2019 has been a hot favorite of the designers. They are keeping the colors, symbols or images of the companies in the background. Use of bigger typeface that dominates the card space is also a trend in 2019. Big typeface immediately draws the attention of the viewers to the company name and a tagline. Most of the business cards are being created in this way. And that the typeface expresses your brand’s personality. Use the typeface that you have already used in your marketing campaigns. 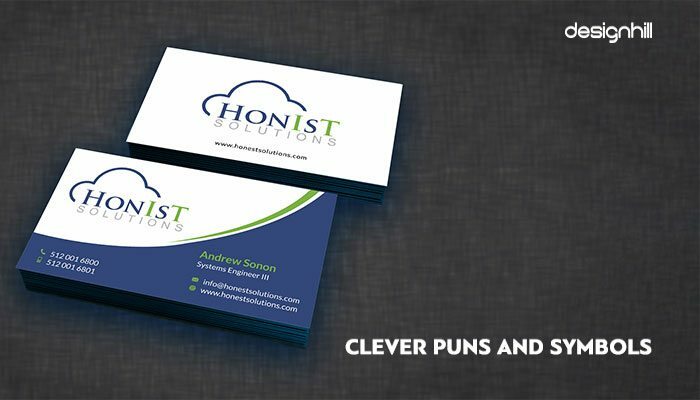 You can incorporate big typeface and other design trends also with the help of business card maker tools that is easy to handle even by non-designer people. The tool has a lot of features to help designers come out with unique cards that stand out. Many business card designers are experimenting with the designs to make cards more interactive, meaning that the users have more in the card to explore. Most of the interactive designs have suspended small slots of information. The user can pick a sliding inner piece to drag out rest of the card that has additional information. However, make sure that the design elements in your interactive card design matches rest of the graphic elements of other marketing materials. For example, a leaflet is often ignored as an insignificant marketing tool. But ideally your leaflet design and business card designs should carry similar elements. Here are some more examples of business card designs for your inspiration. You should have a closer look at these cards and you will come to know about the new design trends making rounds in 2019. These examples will stimulate your creative brain to come out with some exciting and unique design concepts. 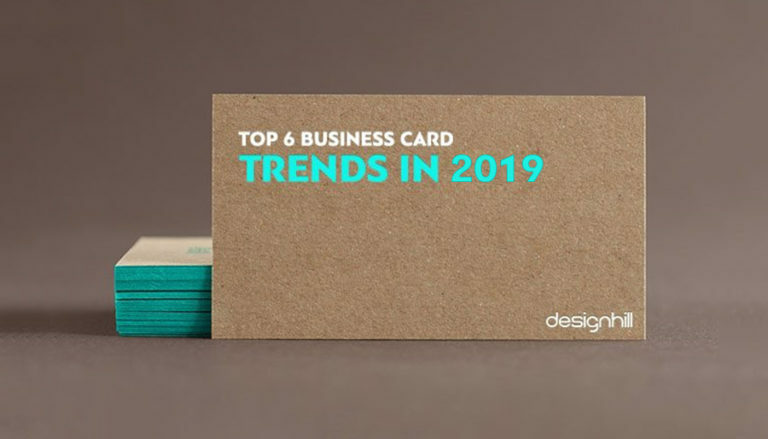 Simplicity of business card designs, big typeface, witty slogans and symbols, and interactive designs are major trends observed in 2019. Which trends do you think are more noticeable? Share your thoughts with us. So, these are the key trends that graphic designers followed in 2019. As you can notice, simplicity of the design is always a preferred trend for clarity of a brand message. These are inspirational trends also that you should be following strictly to create a simple but unique card design. Are you also looking for a memorable business card design for your company? 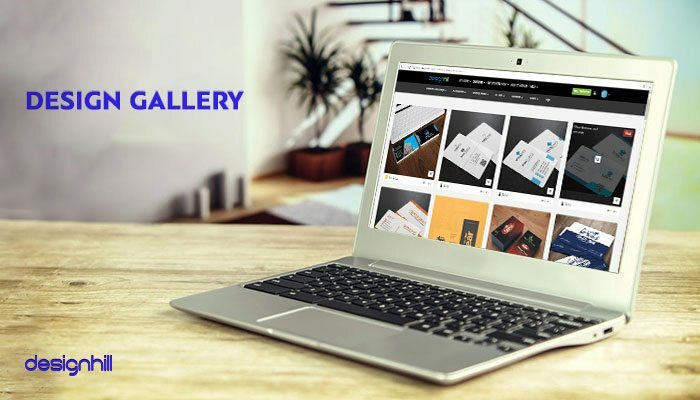 If you are a startup company or a small business, you would like to get your entire gamut of graphic design products such as logos, business cards, websites, etc. at a low price. If so, then crowdsource your entire design work to Designhill which is a leading marketplace for business owners in need of business cards etc designs. All you need to do is to launch your business card design contest and soon you get design entries from dozens of talented graphic designers from across the world. You can select a winning design out of many for your company.It is an economically smart means to get unique and memorable graphic designs from the professionals. In case, none of the submitted designs impress you, Designhill will refund your entire money under its 100% Money Back Guarantee policy. 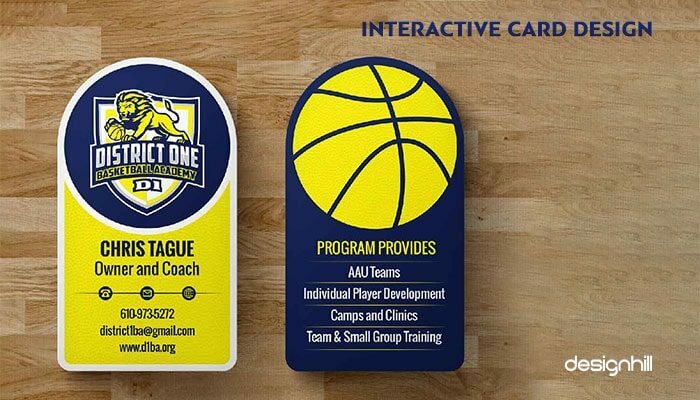 So, get started right now and have a memorable card design and other designs worthy of representing your business in your competitive niche market. Business cards have contact details of your business. 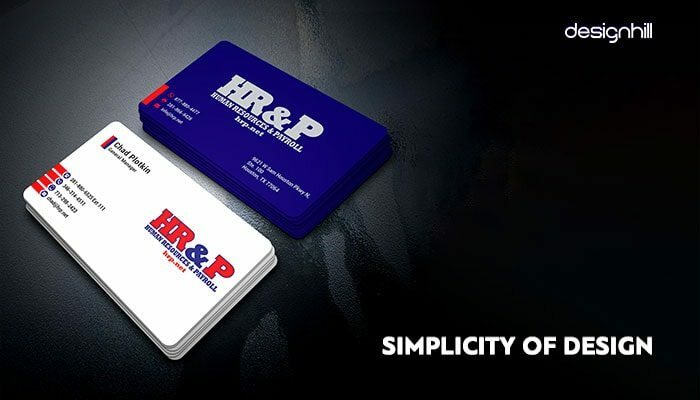 But your business card design must be a unique and special design that conveys a positive brand image of your company. It should carry a simple but contemporary design that helps build your brand image as well.